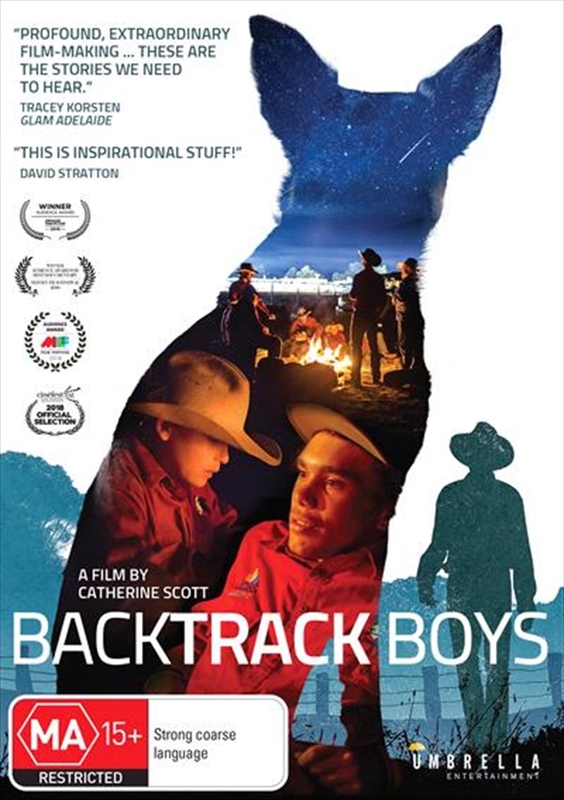 A group of troubled boys are on a perilous course towards jail until they meet up with the rough talking, free-wheeling jackaroo, Bernie Shakeshaft, and hit the road with his legendary dog jumping team.This observational documentary, filmed over two years, follows Zach, Tyrson, and Rustyin a youth program that Bernie runs from a shed on the outskirts of Armidale, a rural Australian town in New South Wales. On the road, the boysfind their voice, make great friendships and the dogs become national champions. But as the boys sleep under the stars at night the trauma is never too far away. With their survival and futures at stake they must constantly step up, push themselves and support each other. Some days can be hard. This inspiring coming of age story reveals the challenges and triumphs these boys face as they try to find their place in the world, and the dogs that help tame their wild ways.